The Kakeela Pant by Arc'teryx is proven to be a reliable waterproof pant. Both soft and protective, the N40p-X 3L GORE-TEX® fabric with tricot technology keeps the wind, snow and rain out. The Coreloft™ Compact 80g insulation is compact and provides warmth without bulk. These pants are mesh lined to keep snow out, but also let heat out. The best thing about The Kakeela pant is the freedom of movement they offer. They offer an athletic fit to women who want freedom, comfort, and warmth. 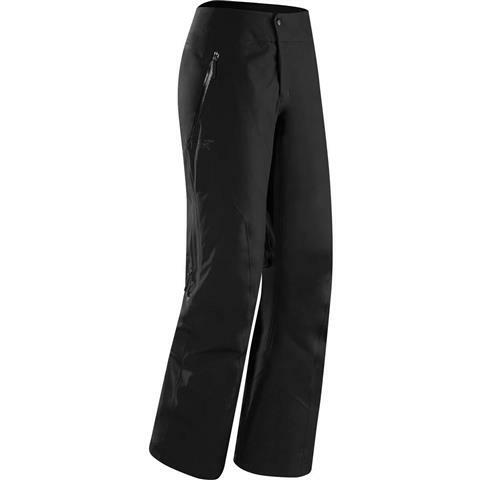 This pant offers superior protection against the winter elements. 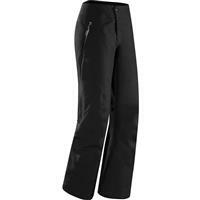 The Kakeela pant is extremely waterproof and windproof, while still allowing for breathability. Absolutely love these pants! Ever since I tried a pair of Arc'teryx pants, I have never switched to anything else! They are a great light weight material where you do not feel like you have a big bulky pant on, but they are so warm! If you're anything like me - you start getting cold when its about 60 degrees outside - but you LOVE winter and skiing and snowboarding and all things that take place in cold weather. This is your pant. Gortex outside, core loft inside, inside belt cinch (you can't even tell its cinched!!) and not overly baggy. At 5'7" and a typical size 2/4 I found the size 6 to be the best fit in this pant. They hit right at my boot.